The writing was on the wall for the Samsung Galaxy Note 7, and I had an inkling that all might not be well when I returned from the Sibos financial conference in Geneva last week. As the plane prepared for takeoff, the cabin crew advised passengers that ‘all electronic devices should now be switched to the airplane safe mode’… but advice for anyone in possession of a Samsung Galaxy Note 7 was different, ‘please switch off this device immediately’. 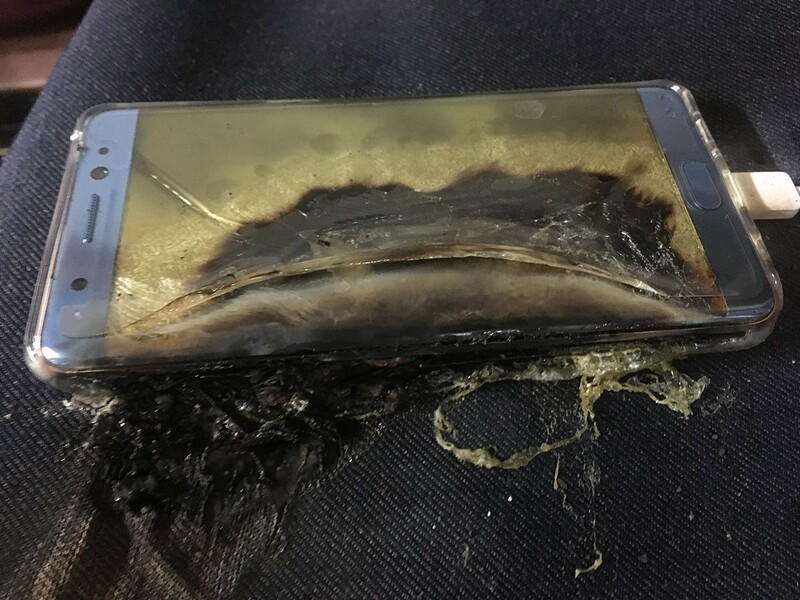 After a lot of very positive reviews, the headlines for the Samsung Galaxy Note 7 took a nasty turn when some of the handsets started bursting into flames. Under these circumstances, a company usually recalls the faulty product, replaces it with one that works properly, and complains quietly internally about the dent in the profits. So, what makes this situation different? Replacement handsets with the ‘problem fixed’ have also been exploding, and nobody at Samsung seems yet to have an explanation why. BBC Technology Correspondent Rory Cellan-Jones wrote in his article, ‘You can bet business schools are preparing to use the inflammable Note 7 as a case study in crisis management,’ citing the original product recall as being regarded as impressively efficient, and the subsequent issues with the handset as bringing on a fiasco. Indeed, at PS Programmes we counsel at our Crisis Media Management workshops that it is not the job of a media spokesperson to paper over the widening cracks of a collapsing business. The fist thing to do in crisis is to start dealing with the crisis itself – and only then can you communicate what it is that you are doing about the crisis in a way that protects your brand’s reputation. Saying the right thing is not a substitute for doing the right thing, and if what you do and what you say are completely different, you will eventually be found out and most likely hung out to dry. If there’s one type of news story that a PR department finds difficult to ‘sell’ to the media, it is that a company is genuinely more interested in customer safety than good PR and profits. Good news stories will be regarded with suspicion, and bad news stories will be taken as confirmation that the company is inept at solving the problem. So there we have it: a problem with one product out of dozens produced by a global, trusted brand has exposed even greater problems, entrenched deeply within the structure of the company itself. The exploding smartphone is no longer a problem in the consumer’s mind – it is a symptom of a business that is sick to its very core. And nobody wants to catch this particular bug. Containing the damage during a brand crisis is difficult. When I first sat to write this article, for example, I found myself interchanging freely between using ’Samsung 7’, ‘Galaxy 7’ and just ‘the Samsung smartphone’ as the name of the device before combing back through what I had written and correcting the name to the actual device at fault: the Samsung Galaxy Note 7. Unfortunately, the consumer’s brain often isn’t quite so interested in the detail of correct names as I am (and as Samsung’s lawyers undoubtedly are too). The pressing question in need of answering now is – just how far along the chain of the Samsung’s product range will consumer confidence be tarnished? Would consumers feel uneasy buying, say, a Samsung Galaxy Note 8? Will Samsung have to drop the word ‘Galaxy’ in their next model? Or will they have to lose the word ‘Samsung’ altogether? And how will this affect consumer confidence in Samsung as a brand – all those televisions, speakers, laptops and washing machines? To add to Rory Cellan-Jones’ sentiments, this latest disaster for Samsung really is a business student’s dissertation waiting to be written. This article appears on Nadine Dereza’s website as well as PS Programmes. Nadine is the co-author of the best selling book Insider Secrets of Public Speaking.